I attended the launch of the new BOSE quietcomfort 20 acoustic noise cancelling headphones and soundlink mini bluetooth speaker at the Holiday Inn yesterday. Since it was Bose, I arrived with extremely high expectations but despite that, they still manage to blow me away with their new technology. Seriously, it is unlike any other in the market. The new QuietComfort 20 acoustic in-ear noise cancelling headphones integrate the most U.S. patents out of any Bose headphones ever made. Unlike other headphones, the new QC20's have two tiny microphones in each earbud; one senses the sound approaching, the other measures the sound inside and everything is controlled by a digital elctronic chip located in the control modul found at the headphone cord - the first of its kind. I'm not going to dwell on the science and technology aspect of it since products like these are better experienced first-hand. 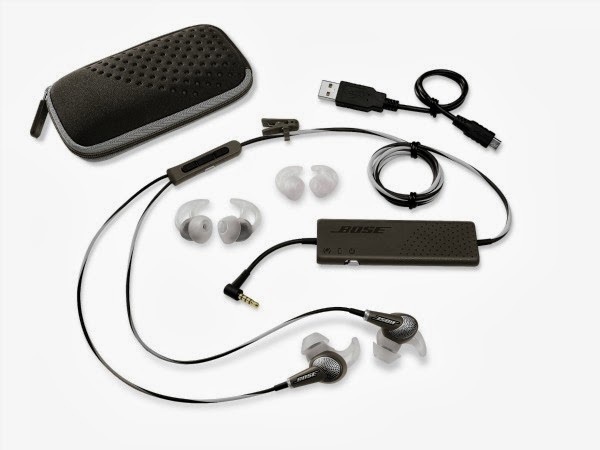 Instead, I'll just give you a summary of what these new headphones from Bose can do. The new QuietComfort 20 has two 2 different modes. One can be used to block the noisy world out and enjoy music while the "Aware mode" allows you to hear what is going on around you with just the swicth of a button. Useful for waiting in the airport, crossing the street, talking the friends, etc. They are made in such a way that you never have to take them off and can live with the soundtrack of your life in the background at all times. It even has a built-in mic for answering mobile phone calls. What is truly mind-blowing about these headphones is their ability to cancel out noise. I have never experienced anything like it in my entire life. Even a professional sound engineer like Chuckie Dreyfuss was highly impressed with its performance that he went so far as to proclaim that these new in-ears rival even some of the best over-ear headphones in the market today. The new QC20's are definitely something you need to "hear" to believe. 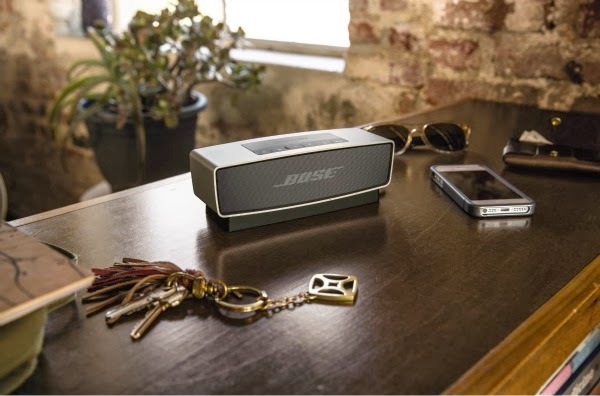 Not to be outshined is the new Soundlink Mini Bluetooth Speaker. At just 1.5 lbs with a measurement of 2.0”H x 7.1”W x 2.3”D, they are extremely portable and easily fit into any handbag. However, don't let its diminutive size fool you. These tiny speakers pack a punch. Lightweight portable speakers usually translate to a tinny sound but not these. The new Soundlink Mini speakers feature two new passive radiators that have the ability to reproduce even the lowest notes. Plus its anodized aluminum housing resists scratches and fingerprints. They are also strong and durable enough to withstand the rigors of everyday use. Bottomline, the new Soundlink Mini Speakers allow you to take the party with you everywhere you go. These 2 new products from Bose (in my humble opinion) are currently the best in their genre and have the ability to stay faithful to the music even at extremely challenging volume levels. 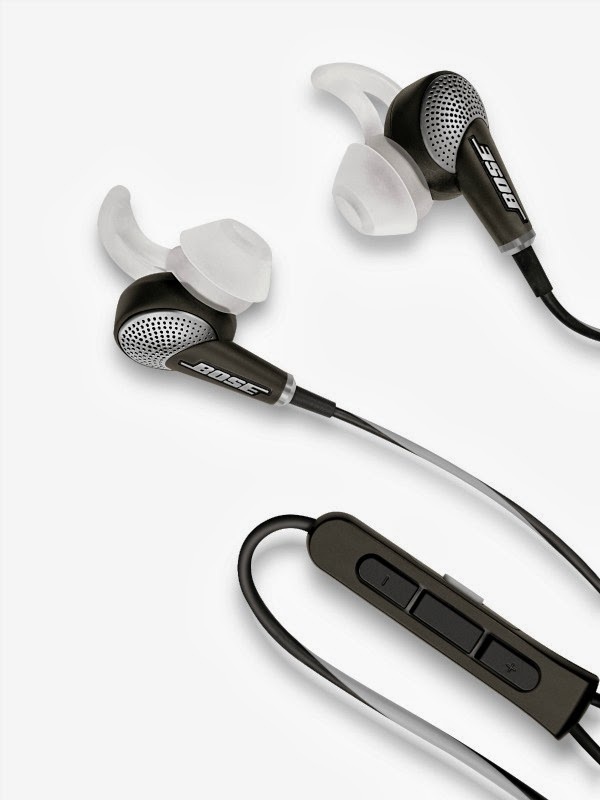 If you value superior sound quality and have the moolah to back it up, then by all means, head on over to your nearest Bose outlet and pick these babies up. The new QC20 headphones retail for P18,000 while the Soundlink mini can be yours for just P13,000. 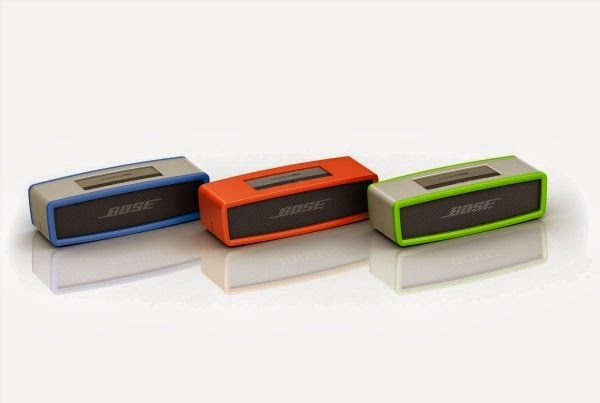 Soft colored covers for the Soundlink mini can also be bought for P1800. 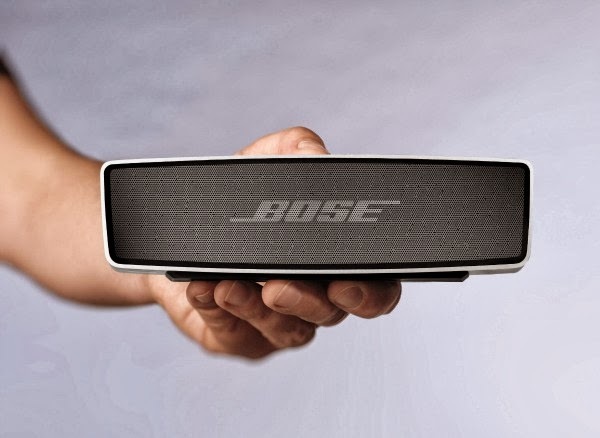 For more info and first dibs on exciting contests, LIKE Bose (Eleksis) Philippines on Facebook.